March 24, 2019 - So, after maybe 20 tries, I finally got it to actually work and loaded a photo. (Kept freezing/crashing) And now I’ll be deleting it. Problems: - Crashing/Freezing (iPhone X) - Extremely awkward watermark position (overlaps with text you write out) - Can’t use music you’ve bought from iTunes. 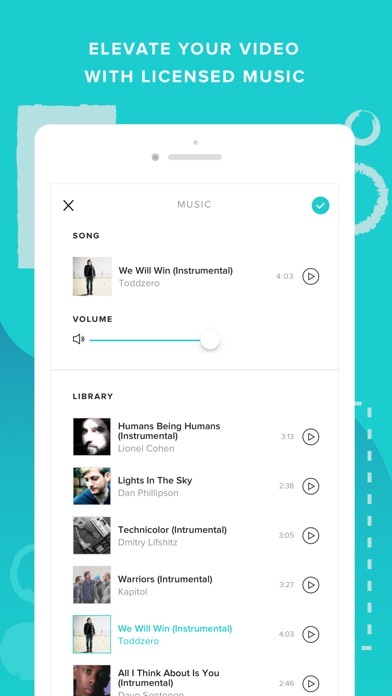 (Also small music selection in my opinion) - Costs $60 a year apparently only to remove the watermark. (According to its own flyer) This app may be good enough for others and that’s great because it does have many nice options as well. But, for me, the cons outweigh the pros that I seemingly have a hard time finding. I paid for Premium so my videos would not have Animoto watermark on. Days later and the watermark keeps showing up with each new video I create. After numerous requests for help from Animoto I have heard nothing. Can anyone else help me? 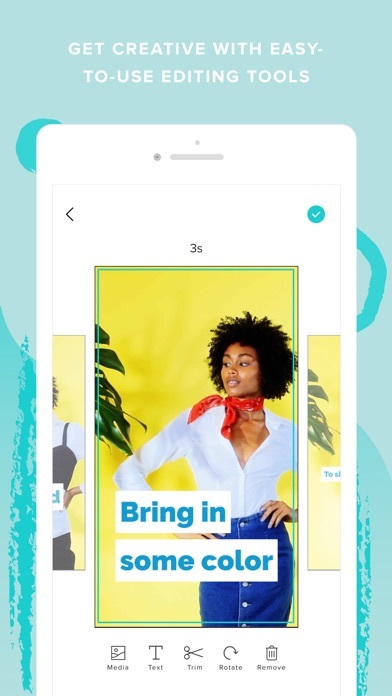 I was considering purchasing the subscription because when I tested the app a few days ago I was able to see all the potentials it has to offer. So I decided to take a few days and work really hard in prepping for some social media content I need to plan in advance before I was going to make the purchase via the App Store. I’ve uploaded the work on my account, the system saved it, and then this morning the app kept crashing. It kept asking me to log-in back into the account, but when I tried it would not take me any further than the social media log-in consent screen. So I decided to download the app once again to see if something happened, but unfortunately the issue persisted and now I can’t even retrieve my work back. If the app comes back up running I might reconsider joining an annual subscription. Love that I can now effortlessly create videos for instagram stories. 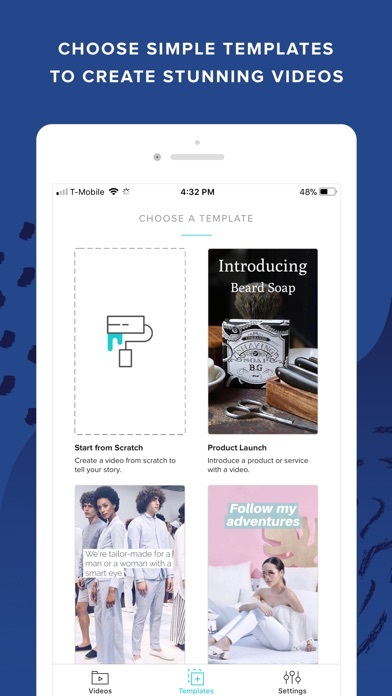 Very cool, simple to use and extremely powerful app to create professional like looking marketing videos. Loved it! Love love love Animoto. Use it on my laptop and the old app, too. The new app allows me to make awesome vertical videos for IG. Easy peasy. 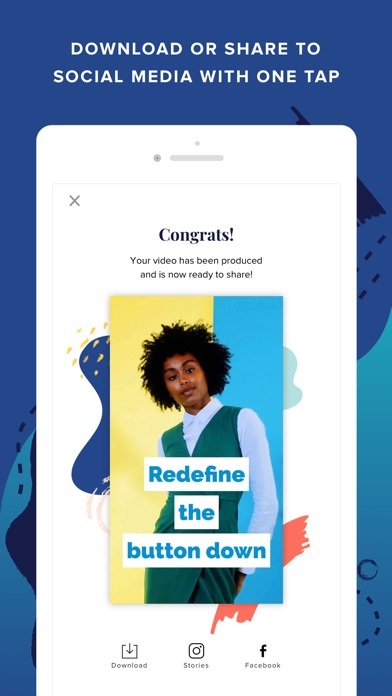 Animoto has made creating marketing videos formatted for IG/FB Stories easier than ever dreamed possible. 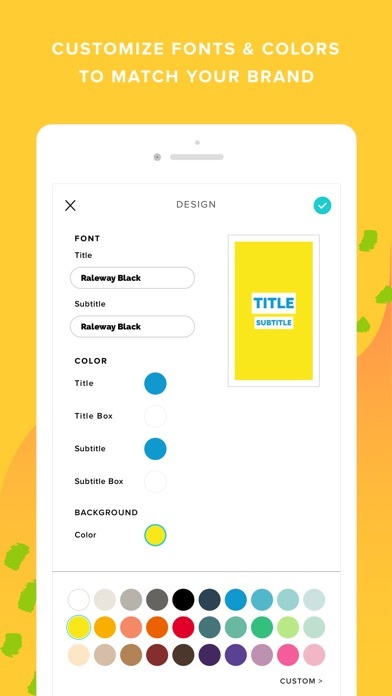 With a few simple movements you can create professional marketing videos with your video and pictures, add in some text, and tell your story in an eye catching way. They also have a great selection of music you can use. I’m genuinely excited to have this app on my phone and use it all the time! Go download it now. Insta story videos! Yes please and thanks! I’ve been looking for an easy way to make short videos for my Instagram stories! This app is so easy to use and I get so many comments and questions about how I made them! Thanks! I really love the way my video stands out when viewing Instastories. It's also super easy to create a video. Would definitely recommend. 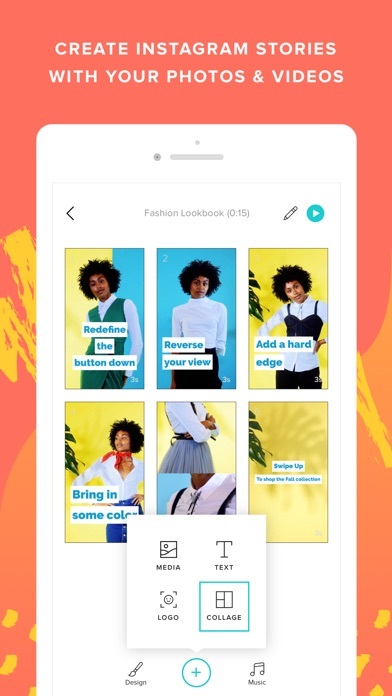 An app that lets me stitch together my photos and video clips on my phone to make something creative and different for IG stories. I get so many more messages when I use Animoto to post my stories - people are so impressed!